We have a fun new interactive map for Around the D readers to explore. 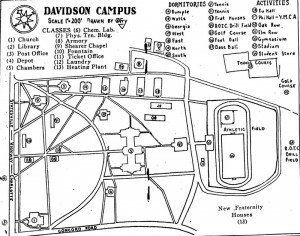 The map has been added to our Guide to Campus Buildings. 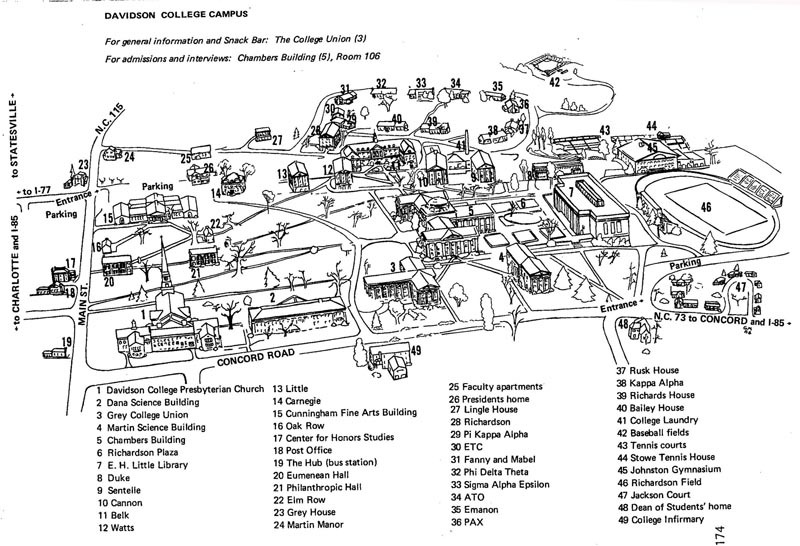 The map has current buildings (well, it doesn’t quite have the new residence hall – you can see a drawing of it here.) 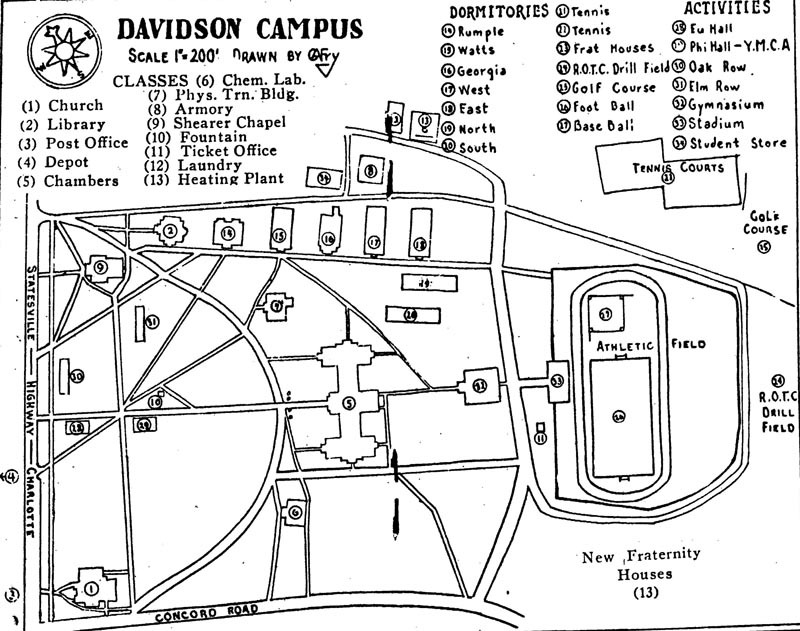 And it has markers for buildings that are no longer on campus. 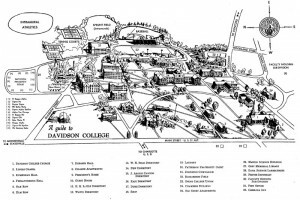 We invite you to browse the map, check out the links for more information about the buildings — and if you have a favorite memory around a building, feel free to send an email or make a comment, we’d love to read them. 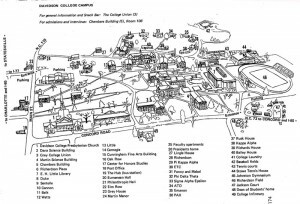 Our list of buildings no longer on campus includes Steward’s Hall, Morrison/YMCA Hall, Shearer Hall, Martin Chemical Laboratory (not to be confused with the current building), Ovens Union, Rumple Dorm, Old Chambers and Lingle Manor. We’ll be adding others over time, so if you want the Student Store or Card Board Village on the map, you can wait a bit or email and ask that we do it next. Since there are photos of the buildings linked on the map and we want you to check out the map, there are no photos for this blog entry. 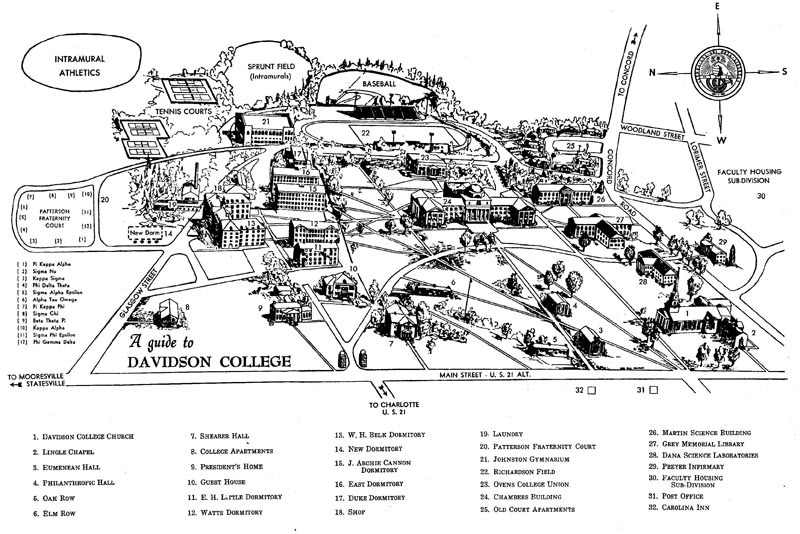 Instead, here are a few older maps of campus. 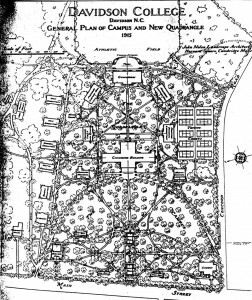 1937-1938 map from the Wildcat Handbook. 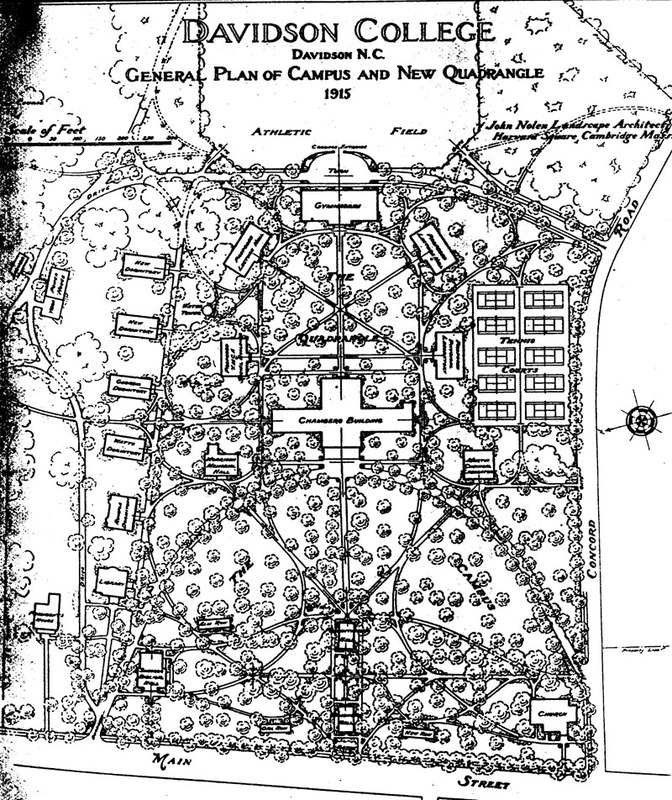 The editors used an old drawing that didn’t include what is now Jackson Court.